Today we are sharing with you how Haley Lancaster, a language arts teacher, uses voice comments to give detailed, in depth feedback to her students when they tackle big writing projects like term papers. Haley first started using Kaizena in 2015 when she was struggling with a wrist injury and had difficulty writing and typing out feedback. Voice comments made it easy for Haley to give feedback, and she discovered that in addition to accommodating her injury, Kaizena was helping her give more meaningful feedback, quicker. One of the ways that Haley has been using Kaizena in her classroom is with her sophomore English students. 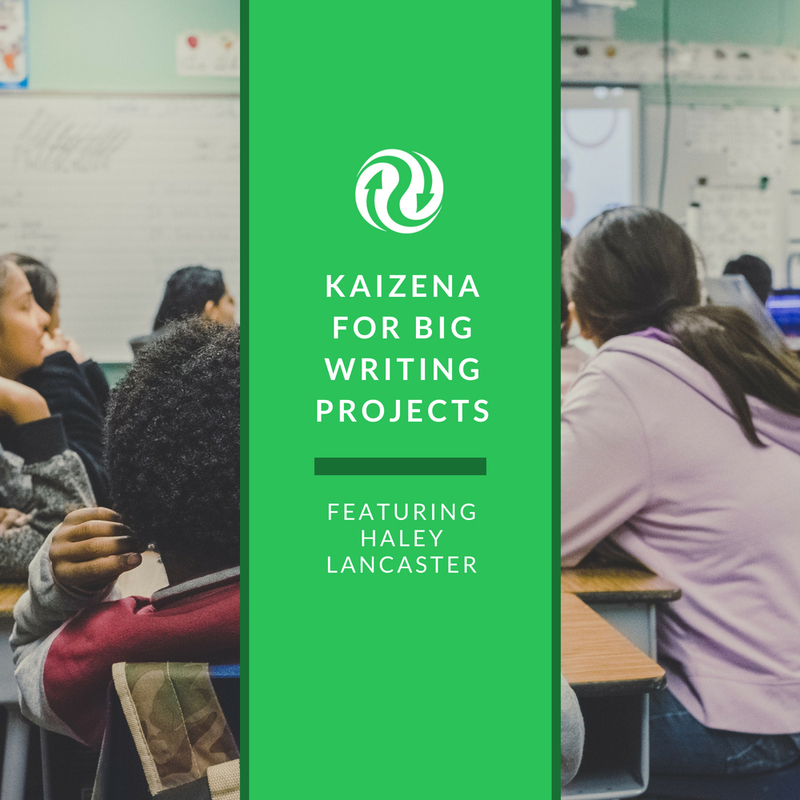 These students are required to complete a large writing project, and at each drafting stage, Haley uses Kaizena to check on the students, guide their writing, and offer feedback. Haley creates four formal “check-in” points which means the opportunity to have four cycles of feedback. These check-ins happen at the different stages of the writing process: Creating an outline, first draft, second draft, final draft. At each check-in point, Haley asks her students to share their work with her on the Kaizena Add-on in Google Docs. Since both teachers and students are able to make comments and highlights on Kaizena, Haley puts the onus on her students to highlight specific areas of their work they are seeking feedback on. Because tone is much more easily conveyed through voice, Haley made it a point to frame her feedback positively, while still making it meaningful. By breaking down large writing projects with check in points, and creating a mutual dialogue around feedback, Haley is able to support her students in a specific and timely way.